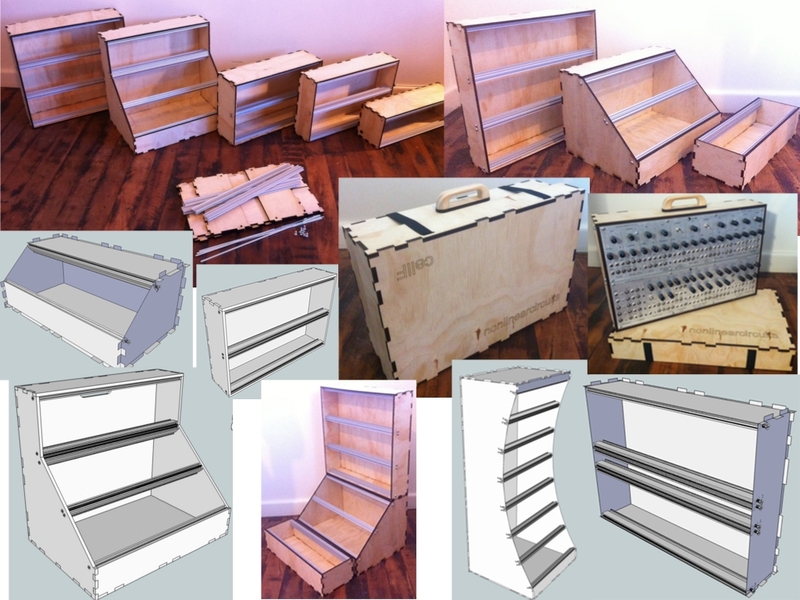 In an attempt to give something back to this community Ive decided to release all of my Eurorack Flatpack Lasercut Case Designs (over 30 of them). I see the expensive modular case as a kind of barrier on entry into this great world of sound and I hope noobs as well as experts alike will get some benefit out of these free/open source designs. 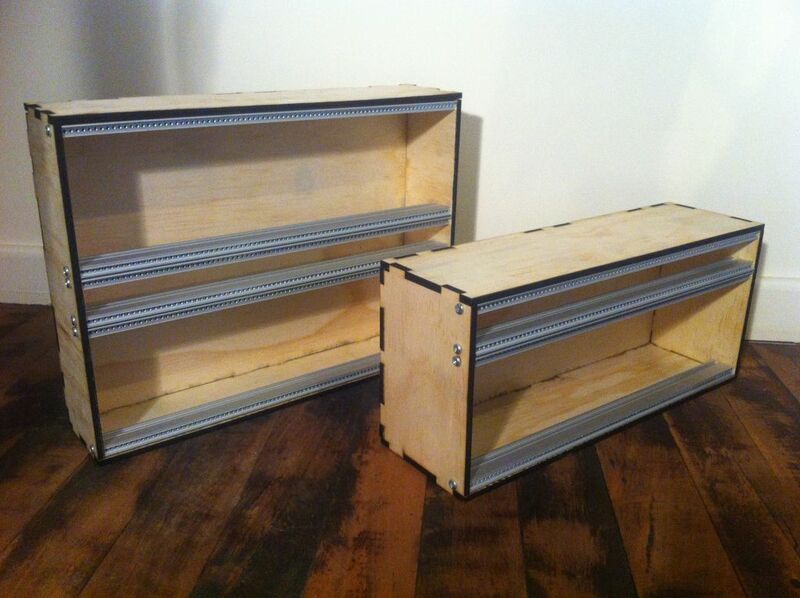 Do a search for "Eurorack Lasercut Case” there to see the whole collection. Included are .skp files that you can open and modify these designs in Sketchup (http://www.sketchup.com) its a free and easy 3D modelling program. Also included are .dxf files that can be sent straight to a laser cutter for cutting. All these designs are for 7mm thick sheet material, plywood - MDF - Acrylic. Lasercutting services are becoming quite commonplace nowadays. Lots of hackerspaces and FabLabs have them and online services like https://www.ponoko.com/ are quite decent in their pricing. Please report back to this thread if you find cheap/good services so others can be informed. There are other documents in the downloads to give tips and advice regarding these cases, please read them. All designs are free for your personal use, (credit where necessary is appreciated) however please be kind and don’t redistribute or resell them. Most rails work with these designs but no responsibility is taken if, for any reason, there is an issue with alignment or spacing. Holes for rails accept M5 bolts. 10-12mm recommended. For Ponoko. Try converting the .dxf to .eps with http://www.office-converter.com/DXF-to-EPS then in illustrator or GIMP change the cut lines to blue. Check size before cut. 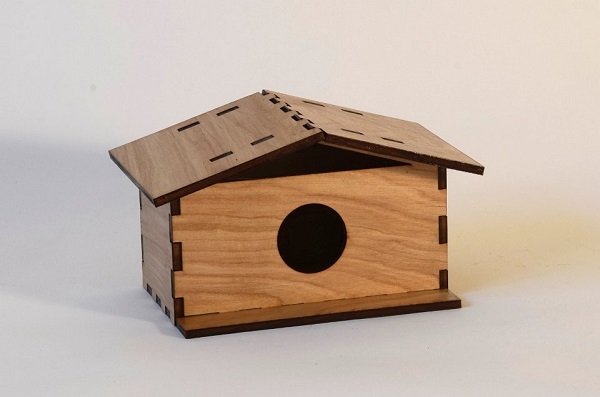 Ponoko have 6.4mm ply that can be used with these designs. If you are concerned about the 0.5mm overlap on the joins it should be easy to sand back with reasonably course sandpaper. Post your tips/tricks and finding to this thread. For modifying these files in Sketchup. Play around a while, lengths, sizes, hinges, handles, latches and locks are all possible with a little work... Work I dont want to do. any tips on how i could get these made? He mentions links in the post regarding getting them made. Capitalism is not dead, it just smells funny! Looks great! So, you have no defined clearance in the finger joints, it is just the cutting kerf which provides the clearance, does that work well? Or do you need to sand a little to get the parts fitted? No need to sand anything (unless you want to paint them). These go together very easily. All members of the WAMod synth DIY group have at least one and many Aussie Wigglers have them as well. Keep what you got by giving it all away. The Open Source juggernaught rolls on! Yeah! Wow, these look great! Thanks for making them available. I see that the files on Thingiverse are licensed as CC-BY-3.0, which only requires attribution and expressly permits sharing, modification and commercial use. Is this consistent with your intentions? Thanks. Its sorted now, Ive never "Thingied" before. ...hm...does anybody know what how strong a laser approximately needs to be to cut 7mm wood? Wow Nathan, super generous with near perfect timing. By the way, just read your explanation in the RTF, on using wooden rails. I use wooden rails in my cases, but I am always afraid of directly screwing into the ends of the dowels, it splits horribly. People doing stuff like this makes me proud to be a wiggler. Instructions unclear, all my modules stuck in birdhouse now. Mr Thompson: You are just great. THANKS A LOT!! ..does anybody know what how strong a laser approximately needs to be to cut 7mm wood?.. 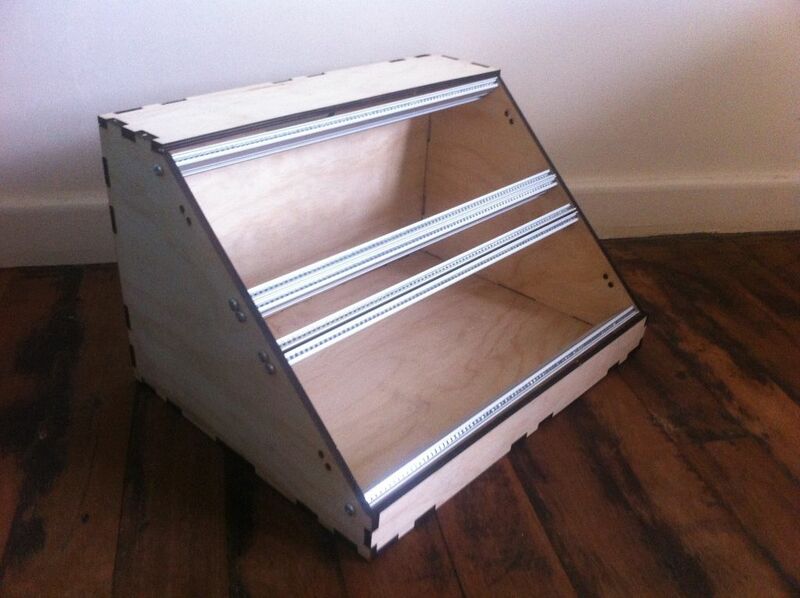 I used a 150W C02 tube laser running at around 32mA to easily cut 7mm MDF and regular pine based ply. Hardwood and marine ply wasnt possible.